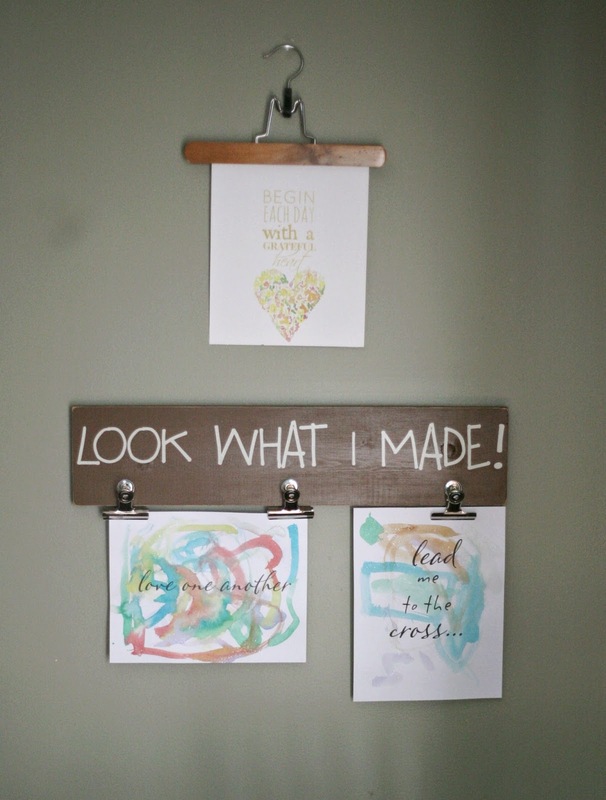 I love looking at all the inspirational printables on the web. I sometimes think I could cover my walls with them and be perfectly happy. 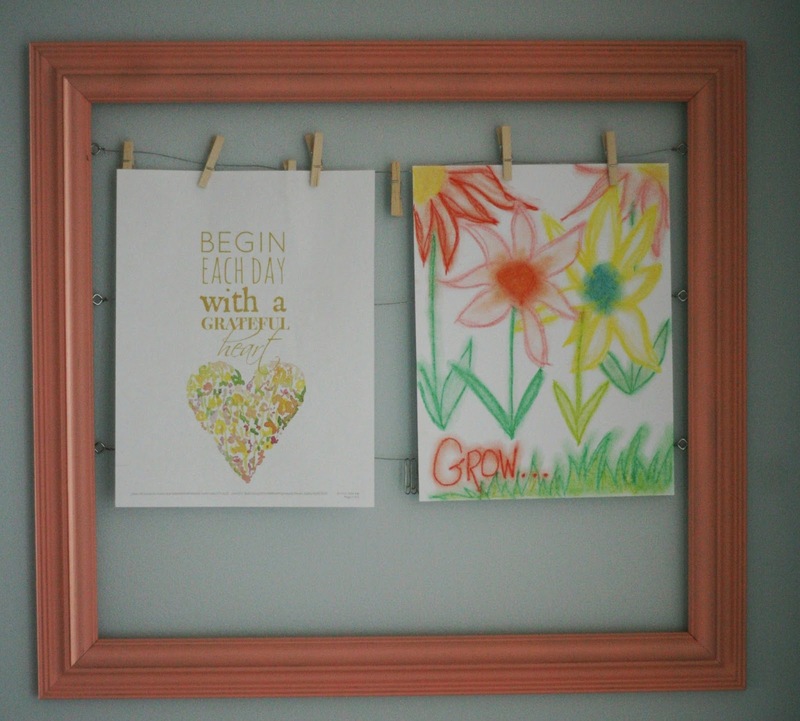 My kiddos also love seeing their own artwork hung up in our home. 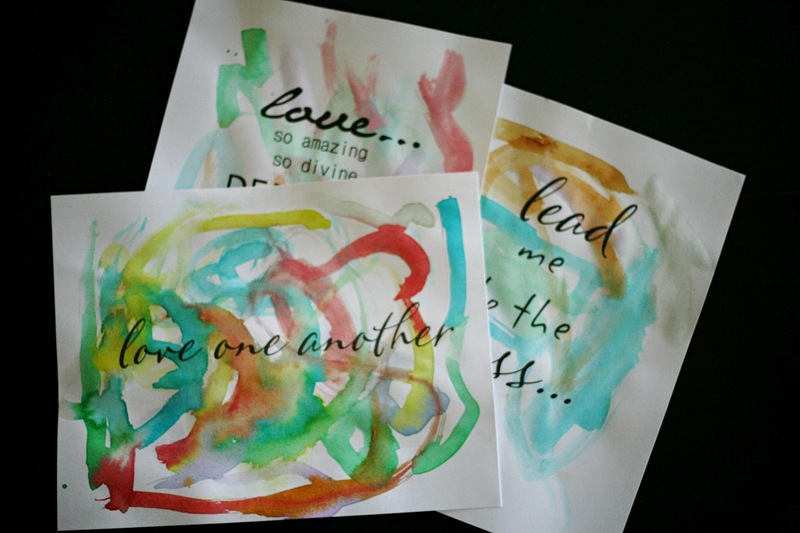 I decided to marry the two ideas and have my kids create their own printables. so make sure you check it out! I told the kids to do more of an "abstract" painting. I didn't want any real design or picture since I knew I would be printing words on top of the paint. one big blob of yucky, brown-ish paint. They sat at the table and had a great time making their paintings. I let the paint dry overnight and then printed the words on them. but once you frame them you can't see the ripples as much. but I didn't want to spend any money on the project, so we went with card stock. but for right now, they hang above their coloring table. I even made my own picture with oil pastels as they painted. 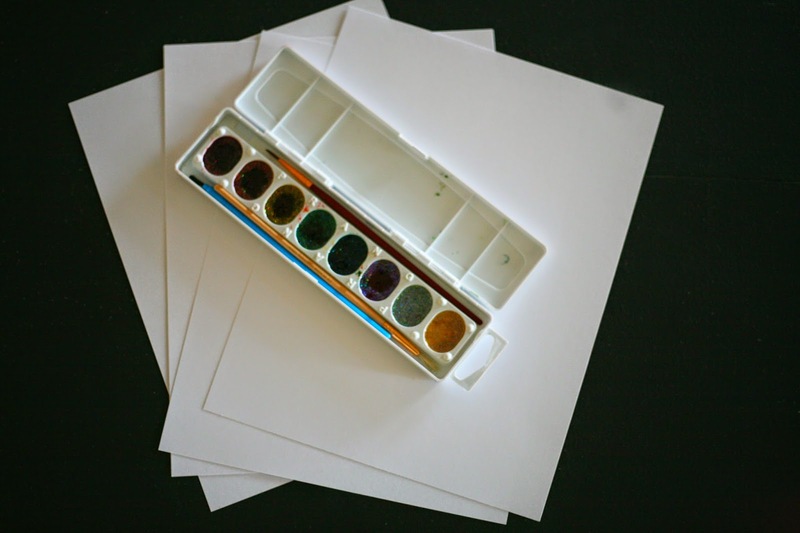 This is such an easy art project that introduces abstract paintings and watercolors to kids. I had Guinnyth create a "wet chalk" painting. She had a paintbrush and small bowl of water. She made wet marks on her paper with her brush and then colored over them with chalk. She had a blast and I didn't have to worry about her making a huge mess. Weekend Links // Immunity, Fall Decor, & Gifts!